For many visitors to Hawaii, Honolulu is just a place to change planes. But the state’s capital has evolved, particularly in Waikiki. You’ll still find crowds, but gone are the bargain shops and peddlers’ carts at International Market Place, replaced with boutiques such as Christian Louboutin, Swarovski, and Tesla. The city is home to the nation’s only royal palace and one of its oldest symphonies. Culture, tradition, and culinary treasures are woven together perfectly in Honolulu’s latest iteration. Wood rocking chairs, a celestial fountain, and large outdoor space for public events such as lei-making classes are a few of the new features at the remodeled International Market Place. 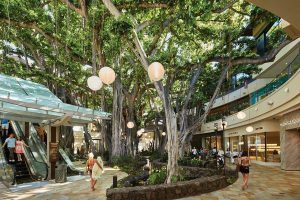 The renovation cost nearly half a billion dollars, as the entire shopping center was planned around saving the legendary banyan tree that has lived on the site for more than a century. Many residents were disappointed to lose the funky mall, but a huge waterfall and the winding pathways are reminiscent of the original. 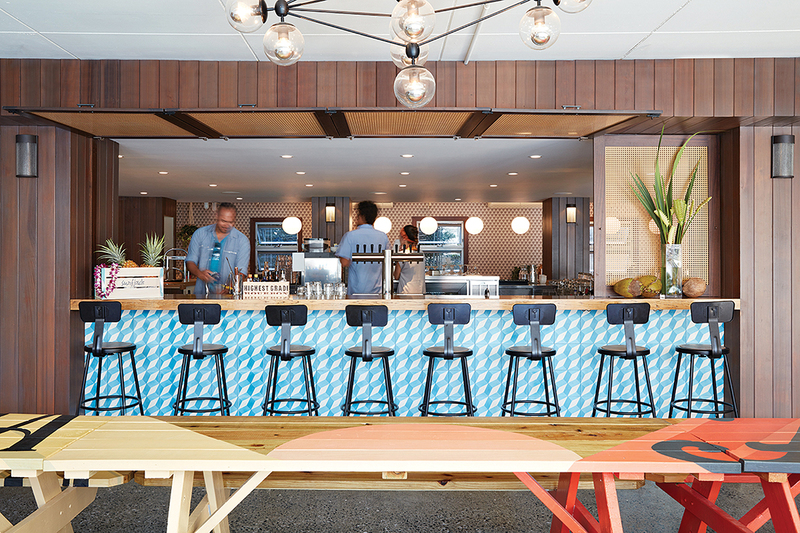 The Surfjack hotel captures the artist spirit and heritage of Waikiki ($207 and up). 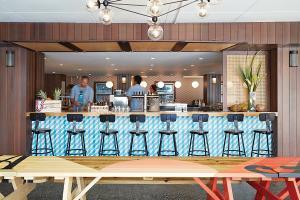 It features a midcentury aesthetic and sits close to the Ala Wai canal, so visitors are removed from the heart of the frenzy. 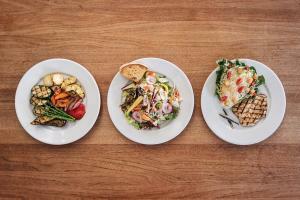 The hotel is home to Mahina and Sun’s, chef Ed Kenney’s newest restaurant. The four-time James Beard Award semifinalist serves breakfast, lunch, dinner, and Sunday brunch, where locals rave about the dark choco butter mochi waffle ($10) and the Bella Matina cocktail ($14). Delight your senses during the nightly performances at House Without a Key at the gorgeous Halekulani Hotel ($510 and up). Former Miss Hawaii winners dance, musicians play, you sip a signature mai tai and munch on coconut shrimp ($16), and the sun goes down beyond what is left of the kiawe tree that is more than a century old. The tree fell in a 2016 storm, but part of it was saved and is thriving—as will your spirits during this show. The food at the Honolulu Museum of Art cafe is just as inspired as the artwork. No trip to Honolulu is worthwhile without a stop—or three—at Leonard’s Bakery for warm malasadas, Portuguese doughnuts without holes ($1.15 to $1.50 each), made here since 1953. You can try them with fillings such as chocolate, coconut, or a flavor of the month. But the originals are perfect and made all day, so there’s no reason to venture too far afield. 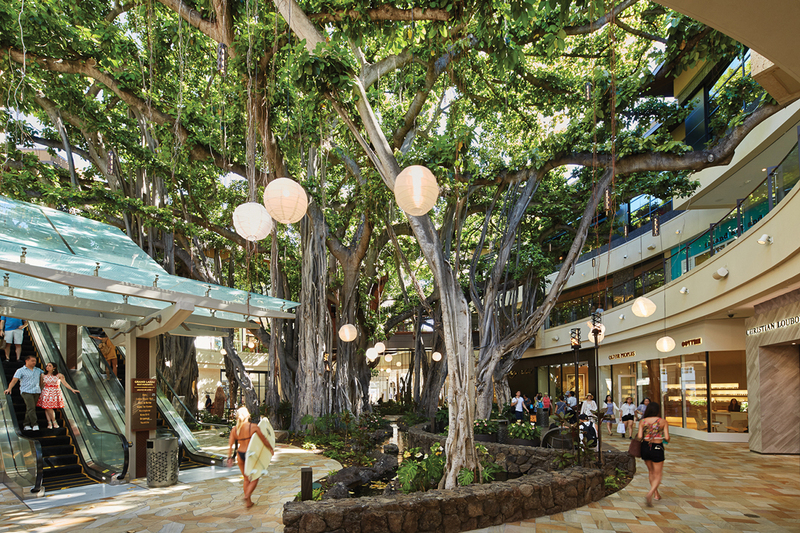 The legendary banyan tree at International Market Place remains a focal point. With more than 50,000 pieces, the Honolulu Museum of Art ($20) celebrates all the major cultures of Hawaii with textiles, paintings, and sculpture. The serene courtyard in the center, with koi ponds and lilies, provides a marvelous interlude between galleries. The museum’s cafe uses island ingredients and serves lunch or Sunday brunch in a perfect setting near a waterfall and sculptures. Originally marketed as a secluded hideaway that lured luminaries such as John Wayne, Frank Sinatra, and Prince Charles and Princess Diana, the Kahala Hotel and Resort ($404 and up) still offers the sense of getting away from the crowds. Families are catered to, and guests young and old can experience dolphins up close during various programs at Dolphin Quest ($199 to $325). Dine oceanside at Plumeria Beach House, which features locally sourced delights such as Hawaiian sweet bread French toast with lehua honey ($12).